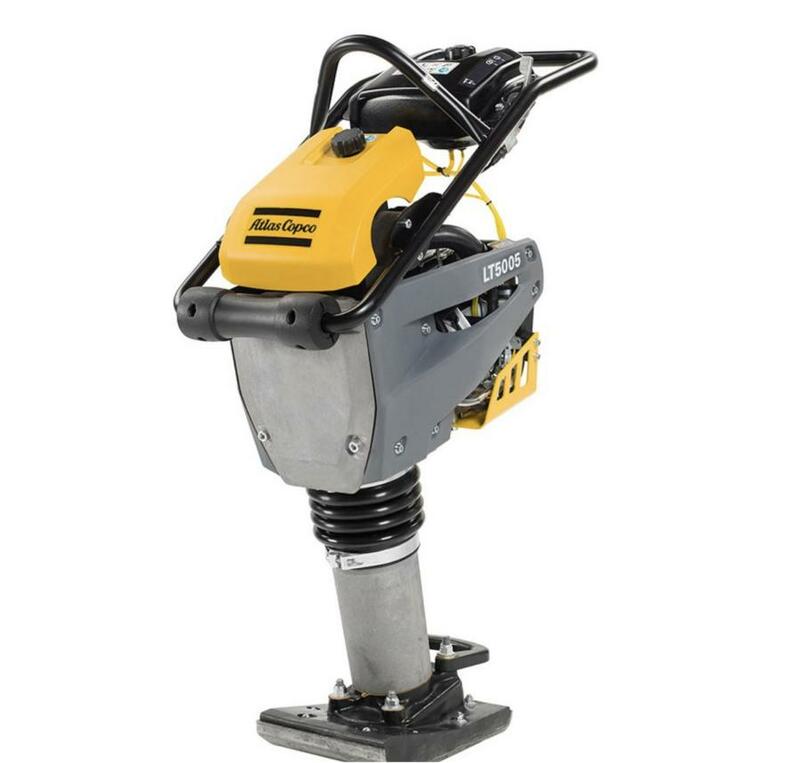 The Atlas Copco LT5005 rammer. At a mere 6 in. (15 cm) wide, the LT5005 is 3 in. (7.6 cm) smaller than its predecessor and the LT6005 is 9 in. (22.8 cm) wide — 2 in. (5 cm) shorter than the previous model. These slim designs enable operators to easily compact cohesive and granular soils in confined spaces, such as small trenches, ditches, backfills and foundations. The smaller size also makes it easy for operators to work close to walls or posts. “The slimmer profile and reduced weight truly improve the machines’ handling in tight spaces, allowing workers to get into areas they couldn’t before,” said Darrell Engle, product development specialist.